The boys from Stranger Things. Appearing at this weekend’s Television Critics’ Association press event, Netflix talked about when we should expect to see more Stranger Things, and why the wait is so long. 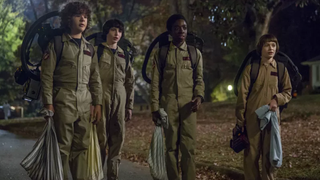 According to Cindy Holland, Netflix’s VP of Original Content, the third season of Stranger Things, set in 1985, won’t be premiering until next summer, and for a good reason: the Duffer Brothers want it to be better, and larger, than the last one. That’s disappointing news for the impatient, but a longer lead time on this sort of work is almost always good news for the cast and crew seeking to make a quality product. And since our own response to season 2 was a little mixed, here’s hoping this will give everyone involved the chance to put out a stronger final product.